Robert Mitchell Jones was born on April 11, 1972 in Orange, New Jersey. The Jones’s moved to Rutherford New Jersey, right on the outskirts of the Meadowlands & Giants Stadium. Bobby played baseball in Rutherford Little League & then at Rutherford high school. He was drafted in the 44th round in 1991 by the Milwaukee Brewers. 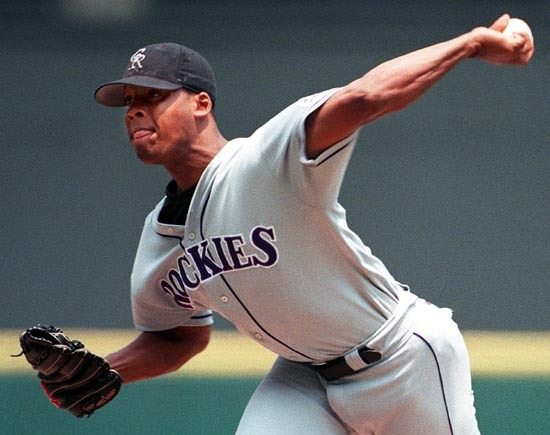 In 1995 Jones went to the Colorado Rockies getting drafted in the Rule 5 Draft. 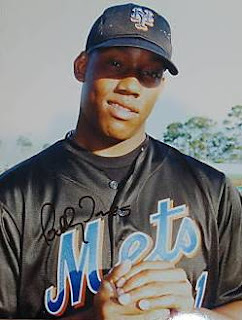 He made his MLB debut against his favorite team growing up, the New York Mets. On May 18, 1997, at Shea Stadium he got no decision pitching into the 6th inning, allowing two runs while walking seven. Jones would pitch as both a starter & reliever for Colorado over the next two seasons, going 13-18 with a 5.52 ERA. In January of 2000 he was traded to his favorite team, the Mets for pitcher Masato Yoshi. Things got a little confusing with two Bobby Jones’ on the same pitching staff. This Bobby Jones, became known as the left handed Bobby Jones. He came up briefly at the end of June & took a loss on the 4th of July in Florida allowing seven runs in four innings pitched. He was sent back down to AAA Norfolk where he went 10-8 on the season. He got the September call up, getting no other decisions in 11 games on the season, seeing no post season action. 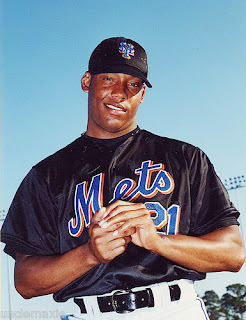 In 2001 he was on the DL pitching just seven games in the minor leagues. He returned in 2002 to appear in 12 games before getting traded to the Padres along with a young Jason Bay for Steve Reed & Jason Middlebrook. Jones missed all of 2003 & then went to the Boston Red Sox for a brief three games in 2004. In his six year career he was 14-21 with a 5.77 ERA. Retirement: Jones went back to New Jersey and played for the Independent Newark Bears. He was signed by the White Sox but did not crack the big league squad. He eventually opened a baseball academy in Montville, New Jersey. He also became a pitching coach for both the Don Bosco Prep and the Montclair Mounties varsity teams. He currently works as an instructor with the Academy of Pro Players in Hawthorne, New Jersey.